This topic takes questions from beginners. I'm trying to run my ragnarok server and it keeps poping up with this error. It appears that myswld.exe is currently being used by my Windows operating system is taking up port 3306 and I'm not sure how to move forward from this step. Can anyone help me? I desperately want to get this figured out. 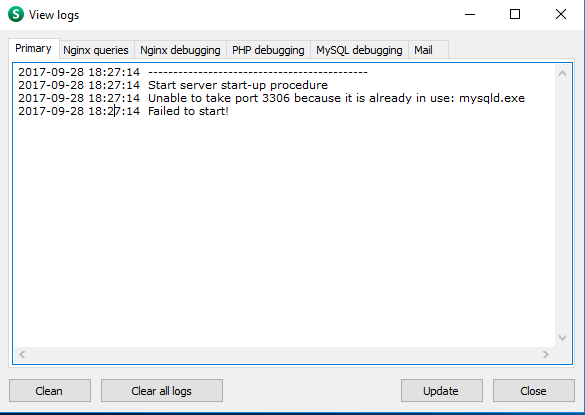 Port 3306 is occupied by some other process with the name mysqld.exe. Open the process manager and look at the path to the process. If the process is called by Open Server, then restart the computer. If the port occupies a server or service installed on the system, then change the port number (Menu - Settings - Server) or stop the windows service (mysql or other).